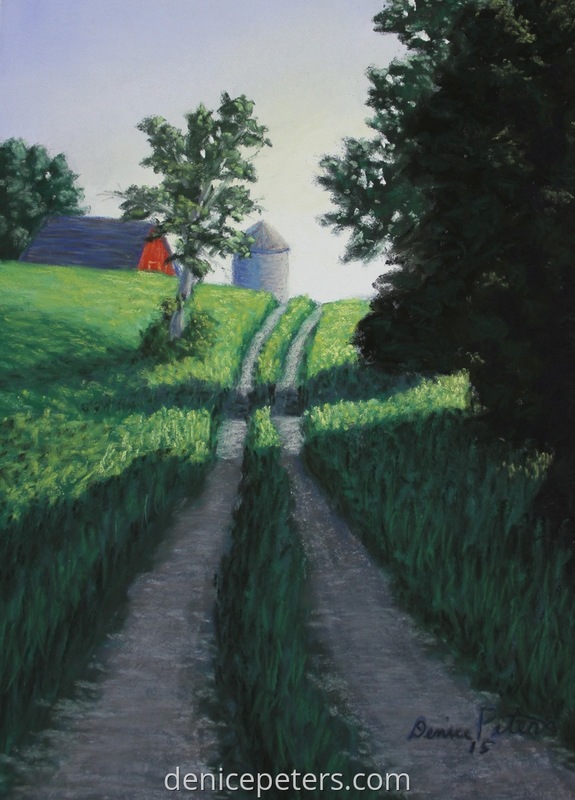 Pastel daily painting of a path in western Iowa. I added the dramatic light to make it a better composition. It's the 4th in the 31 day challenge.